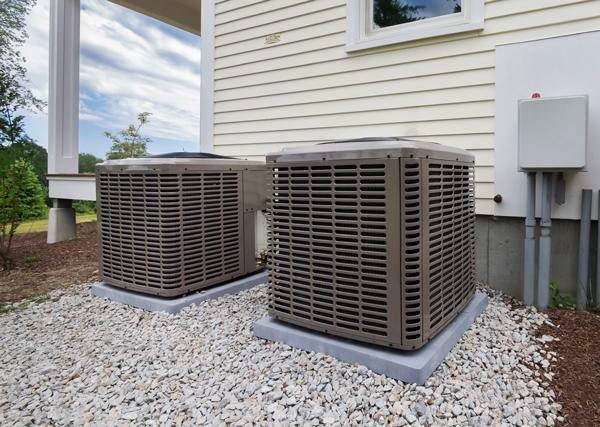 Many homeowners and business people in the Bay Area think that after purchasing a new HVAC system, such as air conditioning or a new furnace, they should be left alone to operate at their best, especially since they cost so much to purchase and install. However, this just isn’t the case, and every East Bay HVAC system installed should have regular maintenance performed on it, to keep it running in tip-top shape. Here are some of the reasons why this is so. When any heating or cooling system is neglected for a period of time, there are some things which will inevitably go wrong. You might think that you’re performing adequate residential or commercial property maintenance just by changing the filters on your system, but there’s a lot more that can go wrong with an HVAC system than your filters. Consider the fact that both of these systems are running almost constantly to keep you cool or warm in their respective seasons. Scheduling regular maintenance can identify worn parts before they fail, and can address other issues to make sure your system stays on track. In addition to keeping your HVAC system running at its peak, and avoiding costly repairs, caring for your air conditioner or your furnace can add years of life to its total service time. That can be a major financial advantage to you, especially when you consider that, if you do nothing to help your East Bay HVAC system in the performance of its job, you might well be shortening its life by half – an air conditioner which would normally last 15 years, might be reduced to no more than eight years of service! When your HVAC system gets a couple years old, it starts to lose that quiet efficiency which characterized its early years, and you can start to hear some unpleasant sounds. A furnace goes through an ignition stage and a blower stage, and an air conditioner has tons of moving parts, all of which might be crying out for lubrication some day. With regular maintenance, all these noisy little needs can be taken care of, and you can enjoy peace and quiet in your home again. When your HVAC system is running more efficiently, you will save money on your utility bills, because it will not require as much power to heat/cool your home or place of business. When you have regular maintenance being performed on your system, you will very likely notice that your utility bills begin to drop a little each month, assuming that there are no increases from the utility company. Knowing that your HVAC system is being properly maintained, will allow you to have the kind of peace of mind that comes from having a professional specialist keeping your system running at its best. You can literally forget about your air conditioner or your furnace, because you know that a competent and skilled technician has been servicing it, and is keeping it in optimal running condition. Your East Bay air conditioning team is waiting now to schedule your system for a check-up and a tune-up. To keep your HVAC systems running at their best, click here to contact B.A. Morrison or call 510-538-9817 to speak with your Bay Area HVAC specialist. We can make sure your HVAC is running at it’s best to help avoid losing heating or cooling when they are most needed.